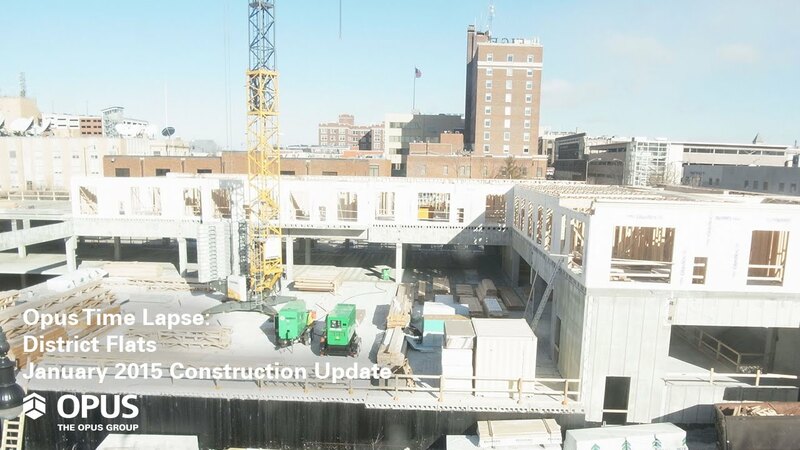 In December 2014 structural precast was installed, the tower crane was set, wood framing began and below grade waterproofing and masonry was completed. As the team looks begins the year, they will complete structural precast, backfill the foundations to grade and more. secure underground parking and bike storage. Filed Under: Construction, Student Housing Development & Construction, Residential Development & Construction, St. Louis, Opus Design Build, L.L.C.